Great website and post. A note about the content. Perhaps some anecdotal commentary on the company and what you like about the business financial fundamentals you find most appealing. Thank you. Agreed, and I typically provide some insight when listing some of my monthly purchases. I will certainly elaborate more on those details when going through my next purchases. What I typically like is a combination of factors that meet all my criteria for quality when choosing to partner with these businesses. Quality can be found on companies with a good record is growing earnings and cash flow. It shows how resilient they’ve been through different economic cycles and how management can react and adapt. A full due diligence should be done taking into consideration other metrics for fundamentals, such as a strong balance sheet, good margins, reasonable liquidity and any attributes that shows financial strength. Once I find a good quality business it goes to my watchlist, and I treat it as a business that I’m partnering with, for many years. Companies report results just 4 times a year, so I only re-evaluate the operating metrics for that company once a year. However, a good quality company doesn’t always trade at a reasonable price. A great company can be a terrible investment if one pays too much for it. Therefore, I take valuation into account, every time that I’m about to buy more shares of a business – which are the graphs above. This list covered a lot of companies and my intent was a visual representation of how stock price follows earnings and cash flow, and how they are estimated to perform in the next years. Thank you for the link, we share many of the companies in our list. Some of these companies, however, are overvalued, so I wouldn’t buy them now. Your post says these companies are fairly valued or undervalued, but this comment says some of the companies are overvalued. Can you please explain? My comments were was in reply to Jordan, who also posted a list of quality companies for the long term. Some of the companies that he posted, such as Andrew Peller and Dollarama are overvalued in my opinion, because the stock grew more than the business. All companies provided in the post above are considered fairly valued or undervalued, because the business is estimated to have a reasonable growth (blue and orange line on the graphs above), but stock price (black line) hasn’t been following that expected growth yet. My watchlist contains many more companies than what I posted above, but the rest is overvalued in my opinion, or it would provide an estimated low total return (below 5% annualized), with little margin of safety. Therefore, the companies that I posted above with the graphs not only meet my quality criteria, but they also meet my fair valuation criteria. Meanwhile, the companies on my watchlist simply meet my quality criteria. That means, the rest of the companies in my watchlist that were not mentioned above are overvalued in my opinion. Your list includes Canadian Tire (CTC), but then in your public model, you indicated a selling order around the same time. Can you please clarify? The public model is a trading model. The lists on this post is for investing for the long term. These are 2 different strategies. The trading model is meant for short term gains. It focus in minimizing drawdown and locking profits in the short term – features that are not required when investing. The trading models simply pick stocks based on buy and sell rules, according to each trading model. This is a completely different strategy than investing for dividend growing companies. The focus is on the growth of dividends, to hold these companies for a very, very long time, by partnering with the business, where we don’t care about the temporary drawdown nor to lock profits quickly. Investing has the mentality of buying a piece of their business and holding for a long time, very different than trading, which sees stocks simply as tickers to buy and sell for the short term. CTC has a good value now, and it’s a good quality company, features that are attractive when looking to partner with a business that has a solid tracking record to grow dividends and it’s estimated to continue to grow. That value makes it attractive to invest, but not necessarily attractive to trade, because momentum has stalled. An investor don’t attempt to time the bottom, all we need is to buy a company with a decent value. Very different than a trader mentality. So as an investor, I hold CTC.A because the goal of that investment is the long term growth of earnings, cash flow and dividends. As a trader, I no longer hold CTC.A on my Graham model, because it no longer ranks in the top from a quality, value, growth and momentum combinations, and it’s been replaced with other stocks that meet the Graham buy rules and rank better as an attempt to profit for the short term. 1. I think it would be great if you covered div paying ETF’s and combined your knowledge of the assets within + the value of which ones have the best MER etc etc. 2. On your most recent post, I only see the names that are under the “fairly valued” category but not the “Undervalued” category. Did I miss something? I find it very difficult to evaluate ETFs, since each one has a specific criteria to buy and sell the stocks underneath the ETF. Also, we can’t benefit from choosing valuation when buying ETFs, because when we buy an ETF we pay market price for all companies that compose that ETF. Also, not every company in a given ETF meets my quality criteria, so I don’t like having to buy a piece of a business that I would never invest myself. ETFs are very convenient, but it comes at the cost of not taking valuation into account, and have to accept the basket of company as-is. Plus, MER compounds fees on top of that. For this reason, I prefer to evaluate a business at the time. 2. The list above contains both undervalued companies (like ATD.B, CIX, IAG, LB, LNR or any other company trading below Graham’s valuation of PE15 and below the company’s historical PE) as well as fairly valued companies (like ACO.X, BCE, CP or any other company trading close to its historical PE, taking into consideration what the earnings growth for that business will be for the next year or two). The info on the company is too long. Just say Enbridge – Pipeline and maybe why you like it, or what they are working on, or what pushed the price down. Just more personalized commentary. The graphs are awesome, but accompany them! It looks like you have removed TD and RY from your portfolio which might be fairly valued, and are focusing on a couple others that are undervalued LB, BNS. I appreciate the feedback. The idea behind the long details is to provide a comprehensive idea on what the business entail, as many companies listed here might not be known to everyone. Many of these companies trade in US Exchange, so the details allow the US readers to have a better idea what some of these business are. Once a year I post a comprehensive list of what I consider fairly valued / overvalued across my entire watchlist, so it would be too long to cover specific details to what pushed the price down. I typically do that once I provide my monthly purchases, although I purchase only 4 companies per month (2 Canadian and 2 US). Regarding why I like these companies can be related to the fact that they are on my watchlist: these are companies that passed my quality criteria, with a decent balance sheet and good metrics on income statement, good proven record of continuous earnings, cash flow and dividend growth for many years, and that are estimated to continue to grow, through a diligence process similar to this post that I did for Blackrock a while ago. If you want to leverage a screener for some of these quality metrics, I wrote this post about how one can implement it. In closing, the companies above already meet my quality criteria, the graphs are to illustrate that they are also fairly valued. Might be off topic but, can you comment on where to put dividend stocks and REITS into which investment accounts? At the moment I have a TFSA and a RRSP account at TD and a Non-Registered Account account at Questrade. Both the TFSA and RRSP have the td e-series accounts and I want to move away from those funds and focus on dividend stocks. I heard I should be putting REITS in TFSA and US stocks in RRSP to save on the 15% withholding tax. Is this correct? My non-registered questrade account has a mixture of about 30 Canadian Dividend Stocks and 5 REITS. Should I be selling these REITS here and re-buy them in the TFSA account? There are many ways to implement this, so you will find multiple valid answers to this. My personal setup, from an investing perspective, is to hold Canadian stocks in TFSA and non-registered account, and hold US stocks in RRSP, since the 15% withhold tax does not apply on RRSP. 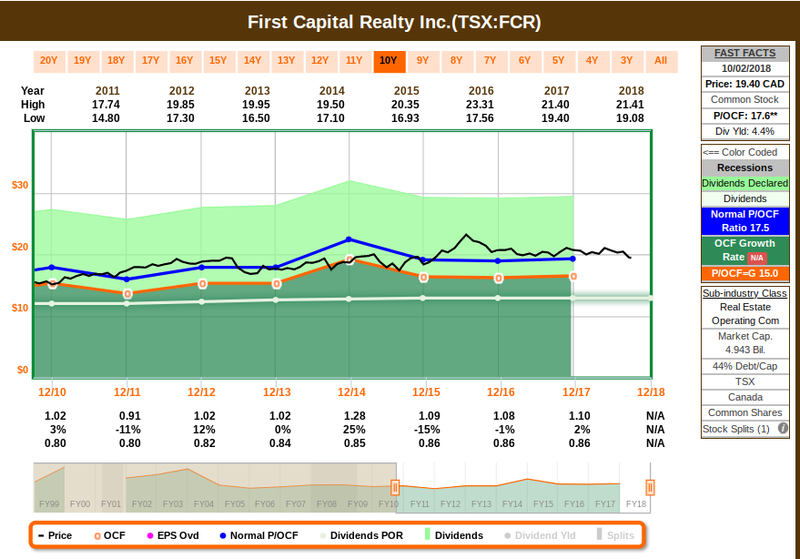 Drilling Canadian investments further, I prefer to have all my REITs and income trusts in TFSA, to be more tax efficient. Some REITS / income funds distributes interest with their dividends, so I rather have that on a TFSA (interest is taxed as income). Some REITs / income trusts pay return of capital, which makes ACB calculation complex during tax time, hence another reason to hold them on TFSA. Companies that are eligible for the Canadian dividend tax credit are held on non-registered accounts only after I maximize my TFSA. I only have US stocks in RRSP simply to provide further diversification, since a large portion of Canadian stocks are in TFSA and non-registered accounts – and to save the withhold tax on US stocks too. But RRSP only makes sense if your tax bracket when you retire is lower than today. And I would maximize TFSA before putting anything on a non-registered account. Also, if you need to liquidate investments for a large purchase, it’s always best to use funds from TFSA, because you gain that room back next year, allowing you to move funds from your non-registered account to your TFSA (on the following year), and therefore, save on dividend tax for that portion that you managed to move. This will ensure that not only you didn’t have to pay tax on the proceeds to fund your large purchase, but you also keep your TFSA maxed out to lower the total tax that you need to pay. Also, if you are planning to sell from the non-registered account and buy back in the TFSA, make sure to wait 30 days before purchasing back, or the superficial loss rule might apply. Lastly, the suggestion above might not apply to your particular financial circumstances. The information above is not intended to provide legal or tax advice. To ensure that your own circumstances have been properly considered and that action is taken based on the latest information available, make sure to obtain professional advice from a qualified tax advisor. thank you for this, it will help with my allocation of accounts. btw, did you make that spreadsheet for tracking dividend investing performance? or is that available somewhere online? it’s a really nice and simple sheet. This spreadsheet was made to track my yearly income growth and share the results on this website and inspired from a template that I found on the web a while ago. It’s been modified a few times since Google Finance don’t have reliable data for dividends anymore, so now it has formulas to import data from investing.com. Also, the graphs and data below the holdings use some custom formulas as well. 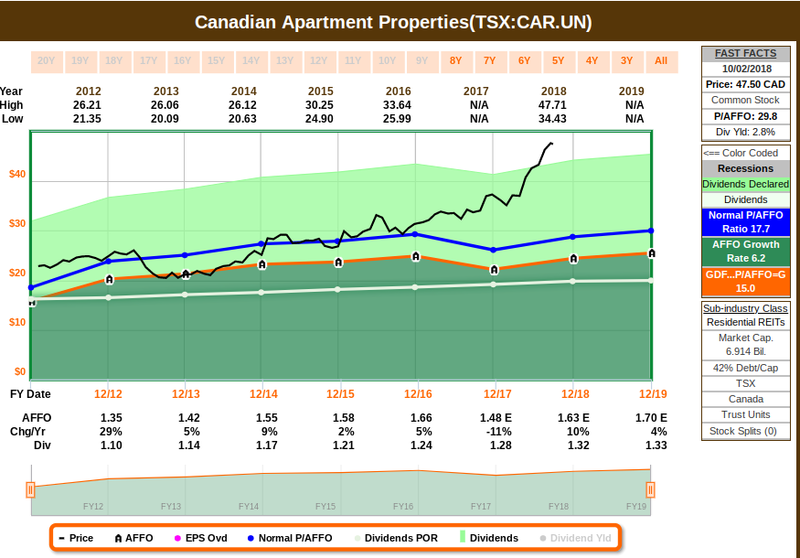 If you want to track it for your portfolio, I would look into stockers.ca – It’s a neat interface with nice capabilities to track one’s portfolio according to their website. Other options include building your own portfolio on Yahoo Finance or Morningstar, but I haven’t tested that in a while. I was thinking of doing all REITS in TFSA, however, I’m not sure whether to just purchase individual REITS like I have been doing in my non-registered or just buying an REIT ETF like vanguard VRE which already has most of the top REITS in canada. The MER is just 0.39% for VRE and although individual REITS don’t have a MER, I would have to spend on commissions every month to add to their positions. Third, MER. 0.39% is not small if you have a large investment. And the more your investment grows, the more MER you are paying, because it’s a percentage of what you have, not a fixed fee. A $10,000 investment (which is not much) pays $39 in MER. If you purchase your individual stocks in a brokerage like Interactive Brokers, it’s only $1 to buy and $1 to sell. No need to purchase all companies at once, since not all of them will have the best valuation at the same time. I rather purchase one or two per month. If you have a much larger investment, say $100,000, then it’s $390 in MER. It adds up. In sum, VRE ETF works to have the REIT exposure without effort. Just dollar cost average. But if you want to maximize your investments further, use their holdings as an initial screener and take valuation into account to build your portfolio a company at the time. The higher your margin of safety, the less risk you have, the better positioned your porfolio will be for higher returns.